Here at the Clifton Observatory we’re very excited to announce that we’ll be having a familiar face join us in the coming weeks. As part of the ‘baa-rilliant’ new charity arts trail which will be hitting the streets of Bristol this summer, Shaun the Sheep will be popping up all over the city, including at our very own Observatory! 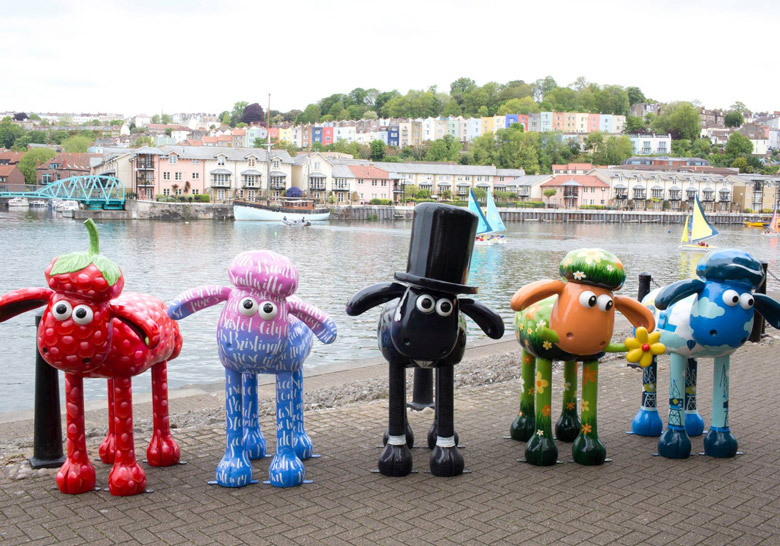 From 6th July to 31st August, the charity are bringing 70 b-ewe-tiful giant Shaun the Sheep sculptures, created by artists, designers and celebrities, to green spaces across Bristol for the public to enjoy. Each of the five-foot sculptures has been individually designed by a whole flock of artists, designers and famous faces including Wallace & Gromit, and Shaun the Sheep creator Nick Park. Download the official Shaun in the City: Sheep Spotter app to your Apple or Android device to find our Shauns, collect ewe-nique achievements and trophies, and connect with the wider Shaun-hunting community! All proceeds go to The Grand Appeal and Wallace & Gromit’s Children’s Charity, so you’ll be supporting amazing causes, too! The Bristol Harbour Festival attracts hundreds of thousands of visitors to explore the two mile stretch of the harbour featuring seven areas including dance, music, children’s activities, a busy on-water programme and phenomenal circus performances. Festival goers can expect all their festival favourites from the festival market in Queen Square to the dedicated children’s area in Castle Park and from the dance stage in Millennium Square to the maritime activities in Bristol’s historic harbour. And there will be plenty of live music, street artists and circus acts too. Entry to the festival is free and many of the festival events and activities are also free. Some shows and performance will incur a charge. For more information and regular updates please visit www.bristolharbourfestival.co.uk. The Bristol International Balloon Fiesta is now in its 37th year and is Europe’s largest ballooning event. It’s a spectacular, free, four days of fun for the whole family from Thursday 6th – Sunday 9th August 2015. 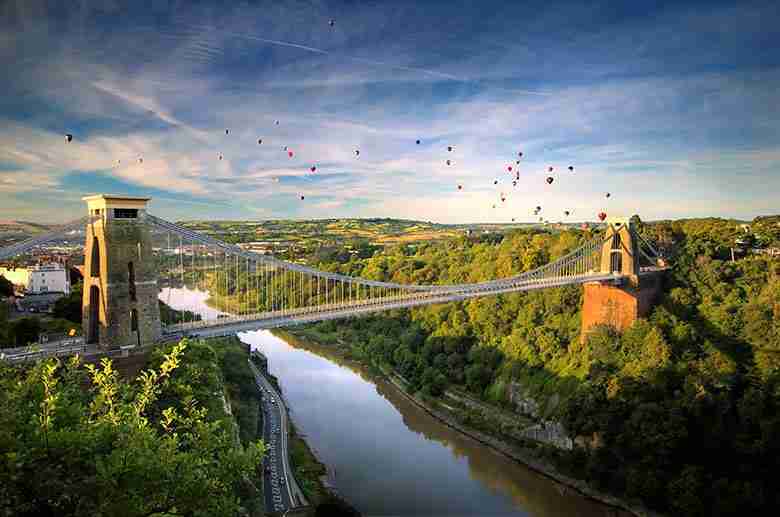 Today, the Bristol International Balloon Fiesta attracts over 100 hot air balloons with 500,000 members of the public attending over the four days of the event. The involvement of the business community is still central to the Fiesta, through The 100 Club. Bristol Foodies Festival: 26th, 27th & 28th June. 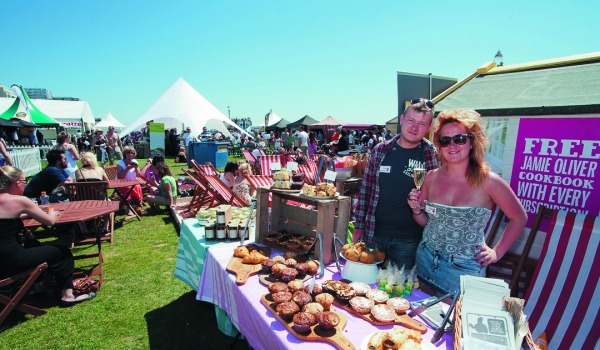 Foodies Festival, the UK’s largest celebration of food & drink returns to Bristol on the 26th, 27th & 28th June for its sixth consecutive year. This year we have been invited to the very beautiful Clifton Downs which will be the perfect outdoor setting. Visitors to the festival can look forward to toasting Foodies’ big year in the Wine and Champagne Theatre where experts Neil Phillips and Charles Metcalfe will guide you through this season’s best bubblies from the south coast and around the world, while beer expert Melissa Cole joins the festival to host masterclasses in the Beer Theatre beer tasting & tutoring as well as a food & beer matching. The mighty Magners Bristol Comedy Garden returns this July with another five nights of comedy goodness! Queen Square in the heart of the city will once again be transformed into a comedy wonderland with a host of the biggest and best names performing for you inside the Big Top and all-new venue The Apple Top. Come and satisfy your comic cravings with unbeatable shows featuring comedy luminaries such as the revered Stewart Lee, multimedia-maestro Adam Buxton, Bristol-born comedy troubadour Mark Watson, lo-fi genius David O’Doherty, Mock The Week’s Katherine Ryan, cult poet Tim Key, Qi star Sara Pascoe and many more. There’ll be a mouth-watering array of food on offer from our Cajun-inspired pop-up restaurant to our hand picked selection of Street Food vendors making this year’s comedy extravaganza the tastiest and funniest place to be this summer.